Mighty Clean of El Paso came to us with no logo and an outdated website with less than great support. We first created a bold, simple logo for their identity. We took that same simplicity and boldness to the website developing a simple to use site that showcases their services. 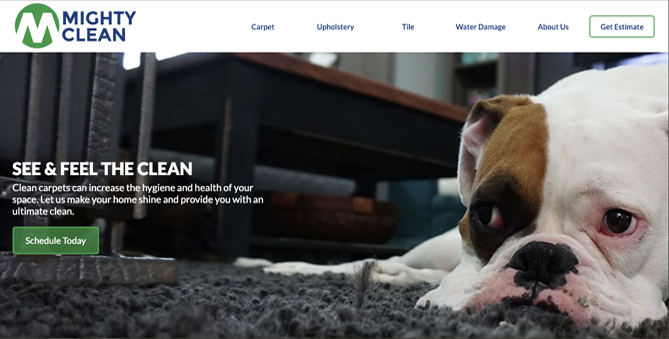 Mighty Clean has seen a 95% increase in estimate inquiries from their online contact form since the new website launched.